When I was mercury toxic, my doctor prescribed 100 mg capsules of DMSA to take four times daily. He told me this was considered a low dose. DMSA is a chelator used to draw out heavy metals from the body’s cells. Less than an hour after swallowing my first capsule, I abruptly began to hyperventilate. My entire body was soon shaking profusely and I had excruciating head pain and pressure. Two minutes later, my speech was impaired. Severe fear and panic emerged. Due to sudden dizziness, I fell to the floor on my hands and knees. Drooling, I went into a seizure-convulsive type of attack. 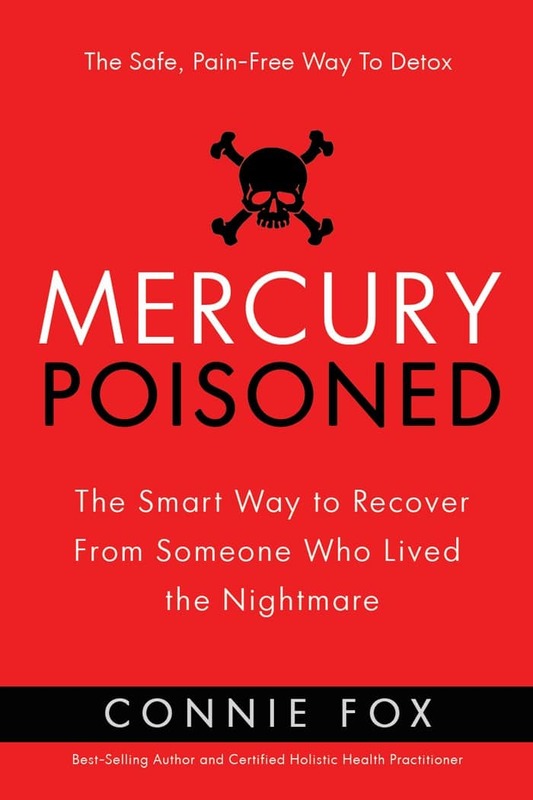 This began my long and horrific living nightmare of trying to remove the mercury from my body [My Story]. I consulted with dozens of other doctors and made numerous attempts to chelate with lower doses of DMSA and intravenous DMPS. With every chelation treatment I felt as though I was walking into a torture chamber, literally not knowing if I would live through the after-effects and certainly not wanting to. Severe intensified symptoms went on for weeks or months – literally – following each chelation treatment. I had hundreds of vitamin C and glutathione IV’s with no improvement. Only the mercury toxic who chelate too much too quickly or before properly preparing their body could ever understand this kind of debilitating physical and mental pain and suffering. I was constantly feeling suicidal and when I look back at this, I simply don’t know how I stayed with it. Emergency room visits were of NO HELP and all of my doctors told me these chelators were the only way to rid my body of the mercury. The one doctor who ended up helping me so much and ultimately, saved my life had a patient waiting list of 1½ years. On my very first visit, Dr. Dietrich Klinghardt MD, Phd¹ told me, “you cannot tolerate these forms of sulfur compounds, Connie. You are way too mercury toxic to handle DMSA, DMPS, MSM, NAC or chlorella. Your methylation is too impaired and you have too many bad bugs [pathogens]”. And he stated it so simply, as if 1+1 equals two. Of course! After four years of inconceivable torture from chelation, the most baffling mystery of my life was solved. Sadly, my story is far from rare. Nearly every single day I hear from other people who also had severe adverse reactions to DMSA and DMPS. I have also heard of some who committed suicide days after a chelation treatment. Of course, the true cause of their death was never revealed. Paraphrasing, Dr. Klinghardt once told me he believed that at least 90% of patients in mental institutions are likely there as a result of being mercury toxic. The majority of my clients are moderate to severely toxic cases and they are able to fully detoxify and recover as I did – without the further use of these chelators to remove the metals. 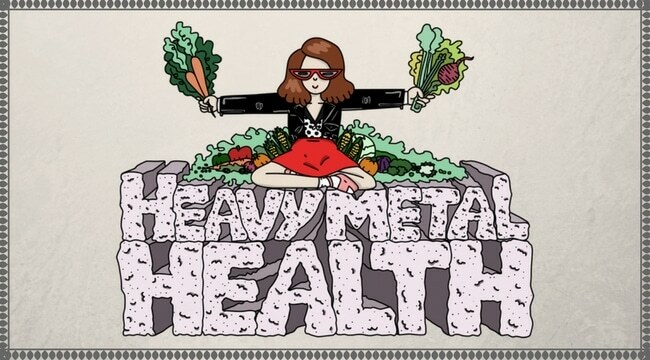 However, some others began their heavy metal detox program as mildly toxic cases. After repeated chelation treatments with DMPS or DMSA, they suddenly developed severe symptoms, advancing to a dangerously acute and fragile state. The reason for this is because the chelators DMPS and DMSA are highly toxic drugs and put a huge hardship on the liver and kidneys. They also bind to food nutrients, ‘stealing’ them from the body’s cells. The chelation had caused severe nutritional depletion and excessive cellular damage, mainly to nerve cells, organs and glands, including the intestinal tract and brain. So, these clients came to me as mildly heavy metal toxic, yet they had induced moderate to severe symptoms from the damaging effects of these harsh synthetic chelators. 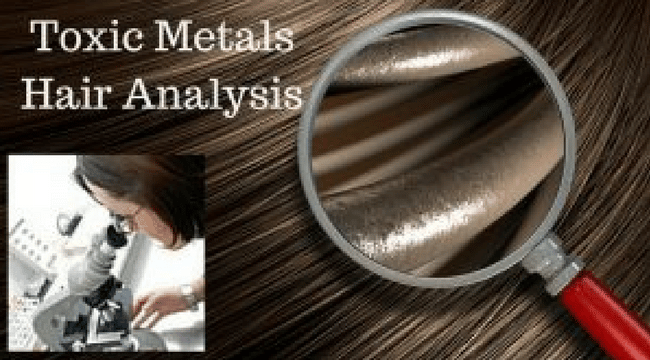 Natural detoxifiers can effectively extract metals as chelators do, but are not toxic and do not bind to food nutrients, robbing you of the vital nutrients the mercury toxic so desperately need. There is no need to take a poisonous substance to remove another poisonous substance! DovePress Medical Journal, who independently reports scientific and medical research states that, “effective treatment of chronic illness resulting from the long-term buildup of heavy metals in the body, such as chelation therapy [DMSA, DMPS], presents numerous clinical challenges, including undesirable side effects and unpredictable efficacy” ². The American College of Medical Toxicology and the American Academy of Clinical Toxicology recommend against chelation therapy, stating that chelation therapy can artificially elevate the level of heavy metals in the urine, and that the chelating drugs [DMSA, DMPS] may have significant side effects, including dehydration, hypocalcemia, kidney injury, liver enzyme elevations, hypotension, allergic reactions and mineral deficiencies. They also state that when administered inappropriately, chelation therapy brings the risk of cancer, neurodevelopmental disorder, and death³. Best-selling author and detoxification expert, Dr. Mark Sircus states that studies have shown that up to 30% of patients have severe negative side effects as a result of these synthetic chelating agents, which may develop after a single dose⁴. And, Nissen Medica Environmental Health Company discloses from their medical research that, “a fast mobilization [of heavy metals] by chelators can cause considerable side effects”⁵. DMPS is not an approved drug by the FDA and DMSA is approved only for the removal of lead, not any other metals⁶. 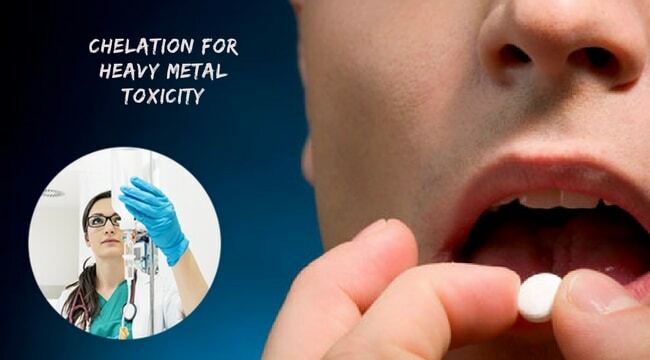 If you’re still influenced by some practitioners who swear that you can’t remove the metals without chelators, so you still want to go the chelation route, please know there is a much safer way to do it! On occasion, I do have a client who chooses to remove the metals with chelators. If you first properly prepare the body and talk to your doctor about taking lower doses, as well as taking more days off in between chelation rounds to restore cells, it may be a much safer process. 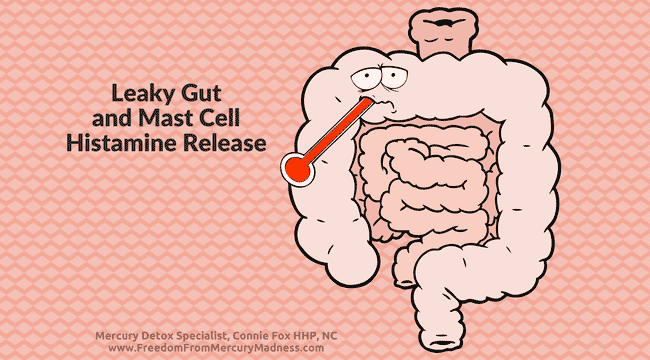 Your leaky gut protocol and nutritional and nutraceutical program is also of the utmost importance. It is imperative to give the body ample amounts of what it needs to protect, repair and restore cells until fully detoxified and recovered. ¹ Dr. Dietrich Klinghardt MD Ph.D., world-renowned as the #1 top doctor for the treatment of mercury toxicity and its related health conditions. He is the one doctor out of 97 doctors throughout the U.S. and Europe I consulted with that knew what to do to stop the mercury madness torture and save my life. ⁴ Dr. Sircus, Mark. Transdermal Magnesium Therapy. Chandelor: Phaelos, 2007. Print. The content in this article is for informational and educational purposes only and is not intended to treat, cure, diagnose or prevent any disease, illness or physical or mental health condition. Discuss health or nutrition-related matters with your physician.